You and your gang have been arrested and found guilty. A life sentence at HM Prison Pentonville awaits you all. Can you stop the van and escape within 60 minutes or will you be trapped forever behind bars? 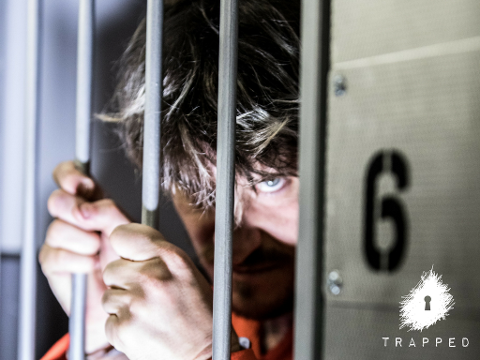 Trapped in a Prison Van is the new immersive escape game from Trapped. Trapped is known for its immersive elements and hard game play. Test your skills in an authentic prison van, refurbished to create the ultimate prison break experience. Trapped in a Prison Van runs open sessions Monday to Sundays for eight players. As this immersive experience is designed for eight players, if you have a smaller group, you may find yourself working with other players to escape. But, remember, you're a team all working for the same goal. 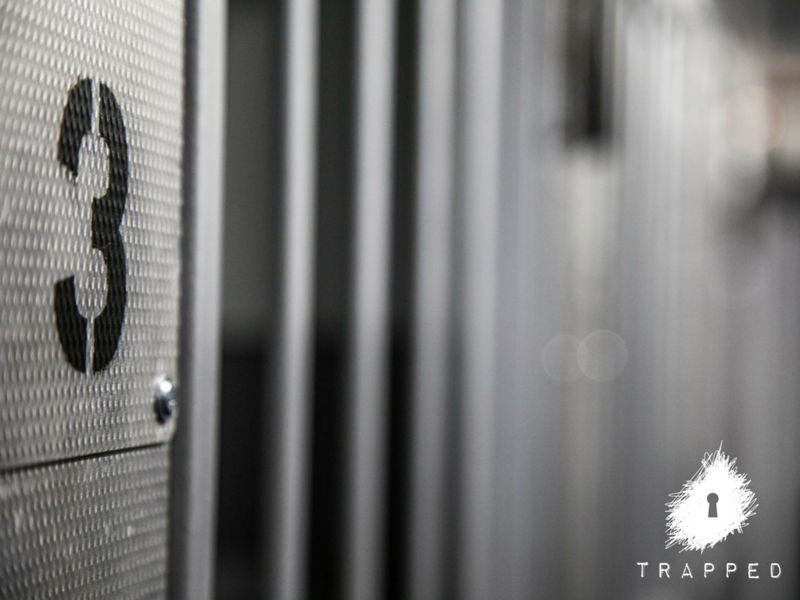 If you would like to have a session privately to yourself, please be aware you need to book all eight spaces. The minimum number of players is four. If you have a small group than this, you can book onto an existing session with other players without having to meet he minimum number of players. If a session has less than four players, the experience may be cancelled. We will contact you to rearrange date or organise a refund for you. For a private booking, you must book all eight spaces. If you are booking a private session and wish to book outside the available times, contact us directly by email or on 0330 333 8085 to organise this with us. 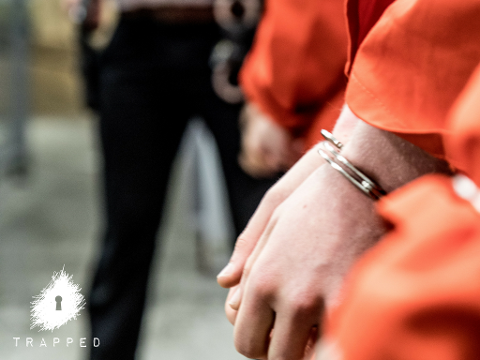 For this experience, you will be given an orange jumpsuit as well as chain restraints. For this reason, we recommend wearing comfortable, loose clothing. We advise against high heels. Will I really go to prison? While we can’t promise you’ll never go to prison, we personally will not actually arrest or detain you. Trapped in a Prison Van takes place in a real refurbished prison van. 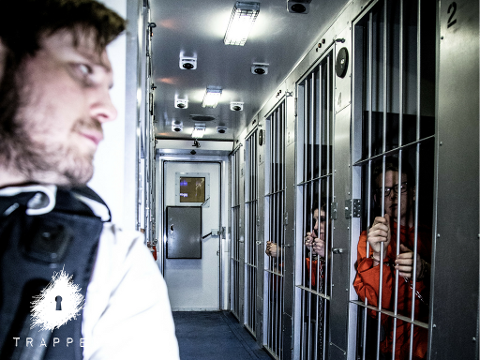 We purchased the 10 cell van from Kent Police in late 2016 and turned it into an immersive escape room. The prison van does not actually move during your experience for safety reasons. How many people are in this experience? The experience is designed to take up to eight people. The game requires a minimum of four players. Please note that unless you book all eight spaces, you will be playing with strangers. If there are less than four of you, this means you can book onto an existing session without having to meet the minimum numbers of players. For private sessions, we can stretch to 9 players but with the knowledge it will be a tight fit inside the prison van. This depends on how smart you are! If you do not find all the clues and solve the puzzles that unlock the door within 60 minutes, you will fail the room. Allow one and half hours for the entire game for instruction time and a solution explanation. Due to the limited space in the prison van, we do not recommend this experience for heavily pregnant women. Those who do participate do so at their own risk. Mobile phones are not allowed to be used in the room. The use of electronic devices or any outside tools are strictly prohibited and you will immediately be removed from the game if you attempt to use them. You must be 14 years or older to participate. Participants under 18 years of age should have a parent or guardian with them. The game may be customised for younger players but this must be in a private session with all 8 spaces booked. We ask groups with young players contact us ahead of time to organise age appropriate clues. The door to the room closes exactly at the time you signed up for. Please arrive 15 – 20 minutes early to make sure you are there before the room is locked. You will not be permitted into the room if you are late. There are no refunds for late arrivals.